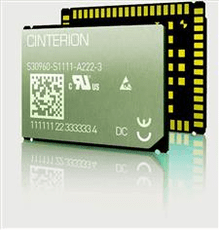 Gemalto's Cinterion® ENS22 NB-IoT Wireless Module platform boosts highly efficient future 5G connectivity for the IoT. The ENS22 IoT module combines single mode NB-IoT connectivity with extreme power efficiency, extended coverage range and advanced security features providing steadfast reliability for data only solutions. The module offers built-in internet services, protected by an enhanced security concept. Delivering data speeds of 27 Kbit/s downlink and 63 Kbit/s uplink, the ENS22 module is ideal for stationary IoT applications that send data only at intermittent intervals such as metering and smart city applications.